During the Turkish Airlines (THY) Science Expo 2019, workshops for children, young and master explorers will be held. Preparations for the Turkish Airlines (THY) Science Expo 2019, one of Turkey's leading science festivals, are currently in progress. Organized by the Bursa Metropolitan Municipality Science and Technology Center and sponsored by Turkish Airlines, the event will be held at Bursa TÜYAP Fair, Congress and Convention Center from May 2 to May 5. The main theme of the 8th THY Science Expo program will be "Industry 4.0." With the support of the Ministry of National Education, a project competition has been announced in schools and universities around the whole country. The award-winning projects will receive around TL 111,000 in prize money. "Secondary School Model Gliders" will be added to the categories of the festival this year. The top 50 projects in seven different categories will be exhibited during the expo. The projects that will make it to the finals will be evaluated by a jury. Participants can apply to participate in the project competition on the expo website until April 12, 2019. All projects that will go on to the finals in the categories of children, young and master explorer will be awarded TL 500 as an honorable mention. Bursa Metropolitan Mayor Alinur Aktaş said that the 8th THY Science Expo would be an important brand activity for Bursa. He stressed that the event would bring science enthusiasts from all over the world. "It will be Turkey's largest science festival this year," he said. 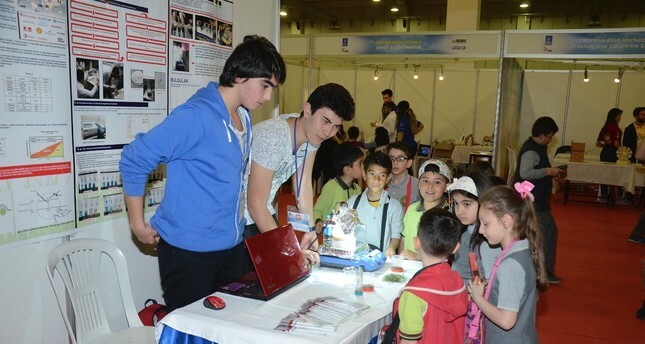 Aktaş added that the science expo has been grown over the years. "During the event, the world turns its eyes on Bursa. The expo will bring science to the city's streets. It will make everyone, especially children and young people, more interested in science with workshops and competitions. "This year we expect to hold some 100,000 workshops in 120 separate areas. In addition, science shows will spice up the festival," he said, adding that "from now on, Bursa needs projects with higher quality. Through workshops and project competitions, THY Science Expo can offer valuable insight into Turkey's high value-added, local technology. It will also raise individuals better equipped with the necessary technical knowledge and skills."